Poised just eight metres from the water’s edge, Array offers a new level of customisation in its luxury one, two, three and four bedroom residences. “The ‘topping off’ of Array is a significant milestone and we are thrilled to share this event with our Array purchasers and local Yarra’s Edge residents. It has been encouraging to see such strong interest from purchasers, especially from our repeat purchasers at Yarra’s Edge. This is a real vote of confidence in the product and what Array stands for – luxury waterfront living," said John Carfi, Mirvac Group Executive, Residential. “As the final stages of construction get underway at Array, we are also excited by the upcoming launch of the next chapter at Yarra’s Edge, which will include 18 brand new strata-free homes and a residential tower featuring a flexible and innovative product range that heralds the future of waterfront living,” said Mr Carfi. Array marks a significant contribution to the thriving Yarra’s Edge precinct. 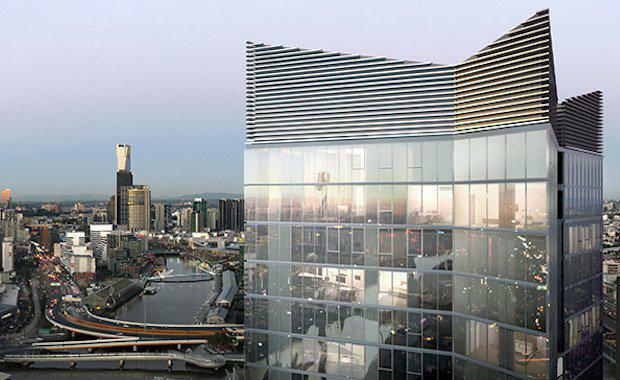 The tower is already redefining Melbourne’s skyline and early next year will see its transformation into the ultimate waterfront address.